The end of summer is here and while I am very excited to see fall arrive, it's a little sad to say goodbye to those long, lazy summer days. Everyone is already back-in-school and it's go-go-go all over again. But even though we are all back to the grind, there are still over 5 weeks of summer left and I am celebrating all the way till the very end by having weekend end-of-summer celebrations at my house with a few friends. I am by no means a big alcohol drinker, but I do enjoy having a few bottles of my favorites at home for the occasional evening cocktail or for these weekend get togethers. 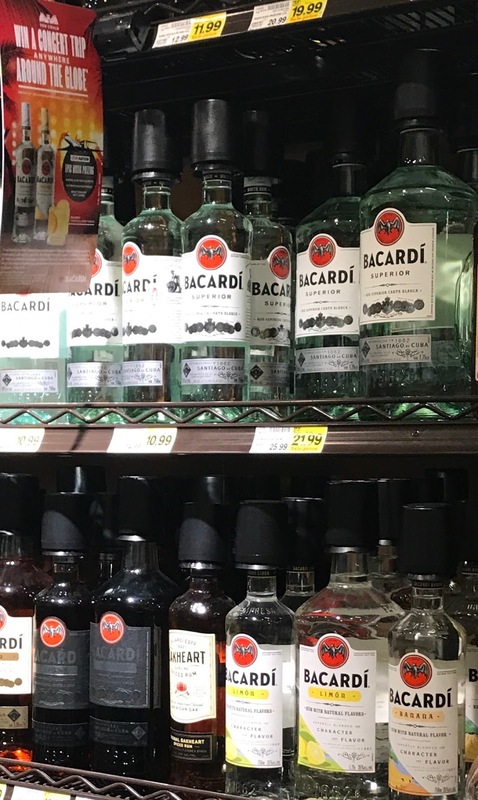 One of my favorites has always been Bacardi Superior Rum because it's so versatile. I can make a quick rum and coke which happens to be a favorite of mine, or I can whip up a dozen other drinks with it. 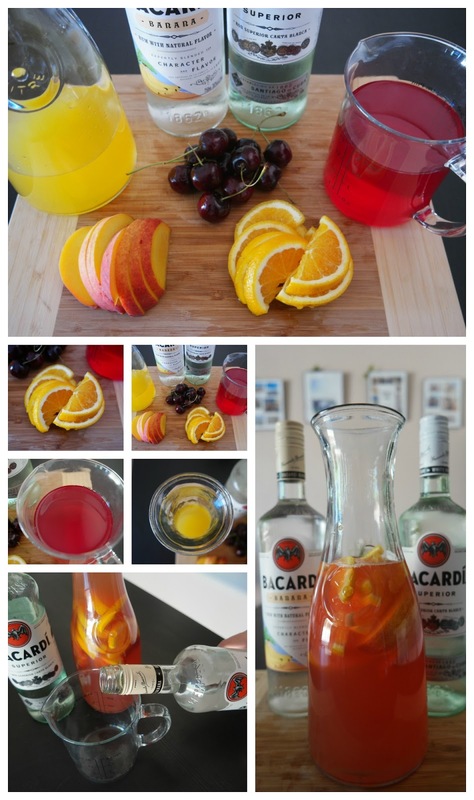 Using Bacardi Superior Rum and the new Bacardi Banana Flavored Rum, I whipped up my favorite fruit punch recipe that uses chunks of fresh fruit to give it that really delicious and crisp fruit flavor. 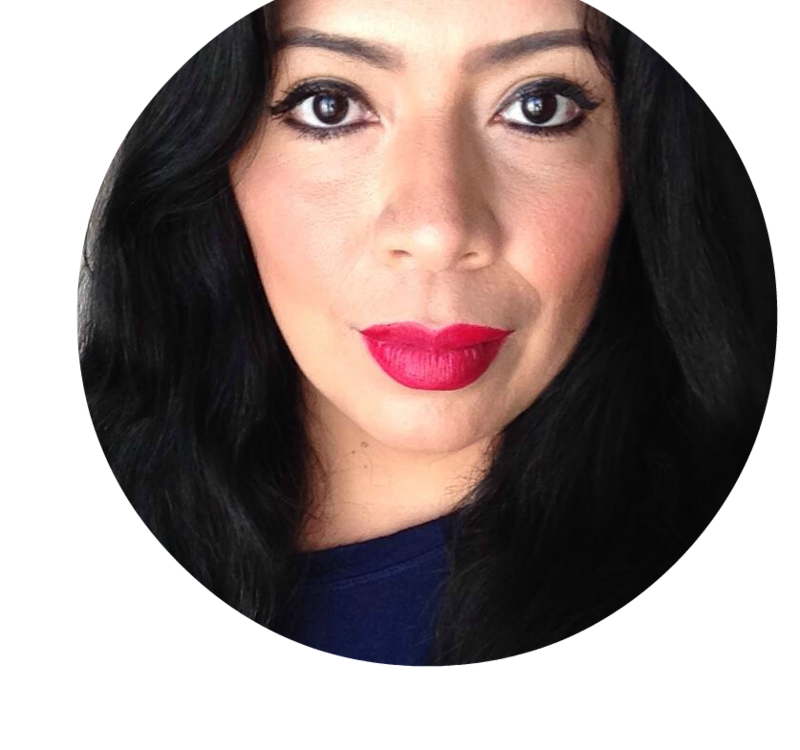 This is one of my favorites to make because it's quick and easy so I can make it even if I only have a few minutes to spare. Plus it's just really delicious and perfect on a really hot summer day. Slice fruit and place into pitcher, add punch and pineapple juice. Add Bacardi Superior Rum and Bacardi Banana Flavored Rum and give a good stir. Serve over ice and top with a few fresh cherries. Bacardi Superior and Bacardi Banana Flavored spirits are perfect for summer rum punches. I tend to go a little light with how much I put into any drinks but you can alter the recipe to your liking. You can also add any other fresh fruits that are in season or on sale. I love adding the big chunks of peach and other fruits because they taste delicious at the end, still crisp and sweet but with that extra immersed flavor of the punch. Seriously, alcohol immersed fruit should be a thing. Bacardi and Live Nation® are bringing fans and concerts together all summer long. You could win a Live Nation concert trip anywhere around the globe. No purchase necessary. Redeem an on-pack code placed on select Bacardi Superior bottles for $5 Live Nation Concert Cash®; 2 codes gets $15 Live Nation Concert Cash” Must include: 21+. State exclusions apply. www.bacardisummermusic.com for details and restrictions. The end of summer means getting those last celebrations in before the fall season begins. What better time to enjoy a grownup summer punch with friends and family without having to take more than a few minutes to prepare a perfect drink. Bacardi Superior Rum and Bacardi Banana Flavored Rum are super versatile and perfect for many of your summer drink recipes. Enter the Bacardi summer sweepstakes online for a chance to win concert Rock Flights, concert gift cards, and Ultimate Concert Access Passes, all the while enjoying your favorite summer punch. Cheers!